I don't know about you but in the winter months I need some extra motivation to get out of my pj's and hit the gym. Finding the right pieces to keep you insulated for the cooler temps yet still have a comfortable range of motion is key for me. I'm Shelly from The Queen in Between and today I'm sharing a few pieces ideas for pieces that will make you at least want to dress like you're headed for a workout! Layering insures you actually get started and keep moving. I cannot tell you how many times I headed out for a walk and turned right around because it was just too darn cold. Even in very cold temps it's easy to get overheated so picking pieces you can easily shed as your body warms up will keep you comfortable. Typically I grab tanks from my gym, Target or Old Navy as cheap as possible and choose to invest in my leggings, shoes and pullovers during the winer months. What are your favorite pieces to wear for your winter workout? 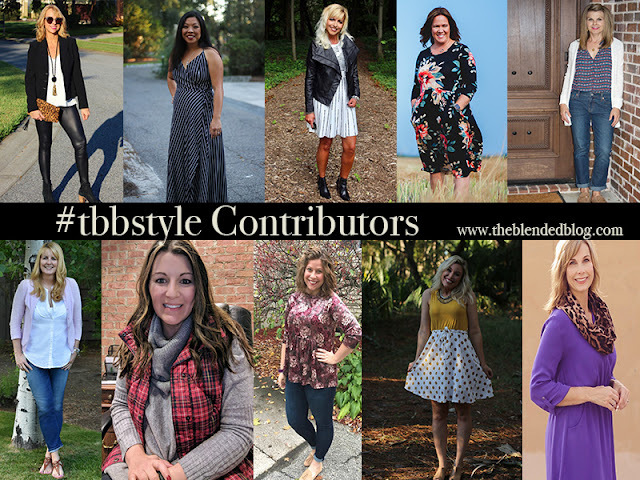 Join us in linking up your favorite look with The Blended Blog!